Nagpur-based director Anurag Bhusari, who has made a film on Union Minister Nitin Gadkari titled "Gadkari", says the movie is not a propaganda and merely chronicles facts.The trailer of the movie was recently released on YouTube, and Anurag says the film takes a balanced stand on the life of the Minister. "Lately, there have been a number of biopics (on politicians) where people said they were like propaganda. But what I can assure the audience is that I have only shown the facts," Anurag said. "I have not tried to show 'Look how Nitin Gadkari is a good person' but I have shown his struggles. I have shown the facts and everything which has happened with him," he added. The feature film joins a long list of biopics being made on politicians in Bollywood. With a crew of nearly 20 people, Anurag started working on the project last year in September, after a research period of six months and completed the film in under two months. Shot entirely in Nagpur, the film is made by crowd funding and Anurag says the decision was taken to avoid interference. "It would have been easy to take a single producer, there were people who were ready to invest in the name of the protagonist, but I thought it'll be better if we make it as a crowd funded film because then I have the liberty to make it my way. 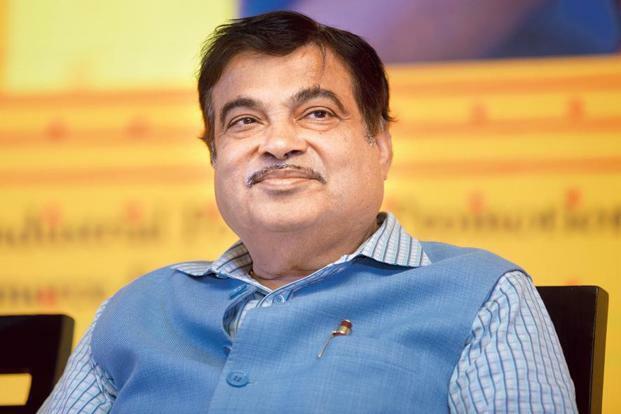 When asked if he took permission from Gadkari before making the film, Anurag said, "We never asked him for permission but I had a conversation with his wife Kanchan Gadkari and we met his childhood friend. "Gadkari", which features Rahul Chopda in the lead, is looking for a release on YouTube before March 5.